The Schwarzwalder Kaltblut horses come from Germany and are still highly praised today. They are used for agriculture purposes, riding, harness, and forestry working positions. This breed can be found in France, Germany, and most prevalent inside the areas of Stuttgart and Switzerland. 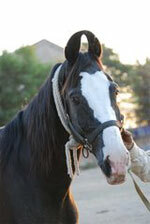 Similar to humans, horses do not all bode the same temperament. Some are wild and adventurous and others can be great around little ones due to their excessive calmness and eagerness to please their owners. 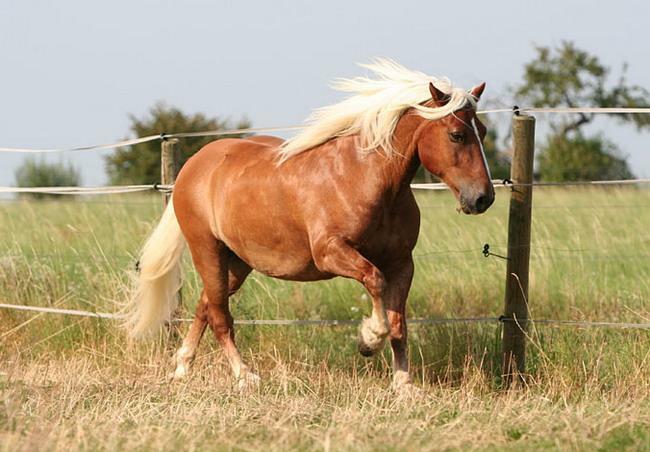 This breed is the latter of the two aforementioned descriptions as they can be trusted with kids and can also be left alone for hours to roam and play with other horse and other animals alike. This horse stands at around just above fifteen hands at full grown adult size. They have a quality head, arched neck, and strong legs. They also have a compact body, low wither, sloping shoulders, and a very short back. The breed is interesting as they bode a very colorful, exceptionally shiny coat. 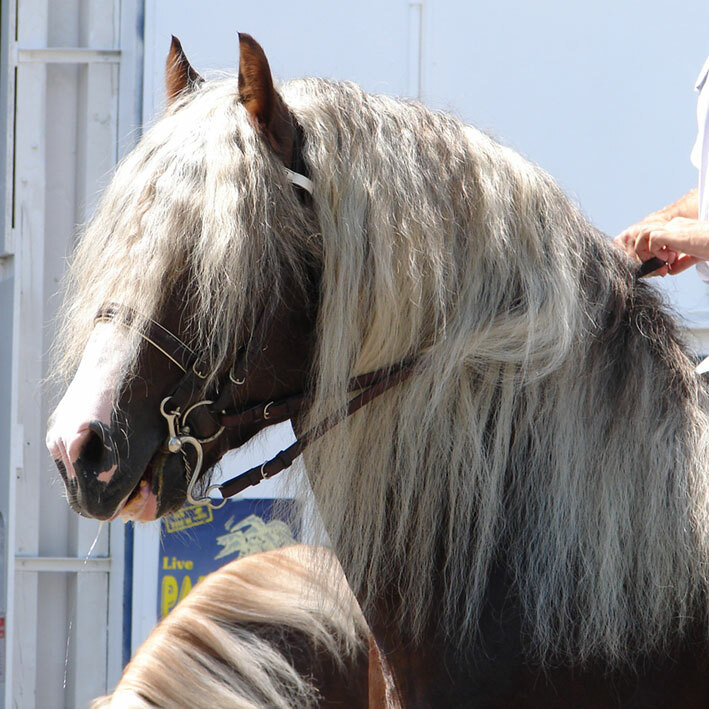 This type is bred in the colors of sorrel to dark chestnut with a lighter mane and tail. Taking excellent care of a Schwarzwalder Kaltblut can be very minimal. They are great listeners and can learn quite a bit on their own while still in training. The breed can easily reside where it is extremely cold, such as in some parts of Russia, though they can also equally reside where it is warm. There have been no major health issues reported within this particular breed. Experts agree that if cared for effectively, they can be a very healthy breed that can live a long and healthy lifespan. 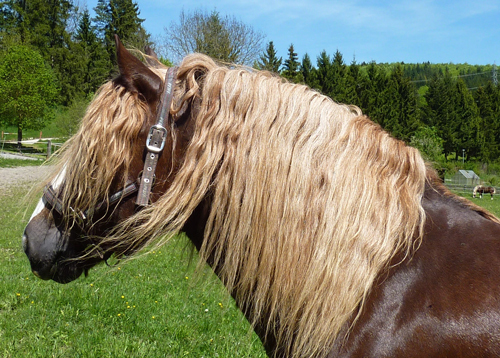 The breed comes from Germany, inside The Black Forest to be more precise. They were well known as the pearl of The Black Forest back in their day and have derived from those cold bloods that were residing in the region during the Middle Ages. They came about as a result of breeding a Haflinger and a Noriker. 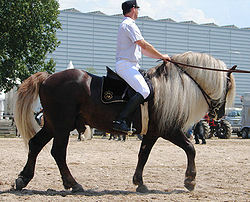 Later on, the breed would be closer introduced to the Brabant breed in a poor attempt at making them taller, which was not successful whatsoever. Once the twentieth century arrived, some were enabled to breed with any stallion they wanted to. Currently, there are fifty state approved stallions in the area and over seven hundred registered mares alike. They have a great reputation in local areas and are considered a very calm and good animal to have on the grounds.